● The ​host fee​ depends on your cancellation policies. It starts from 3% and increases to 5% as the cancellation policy gets stricter. ● The ​guest fee​ varies between 0-20% and is added on top of your rates. If you choose this structure, to ensure price competitiveness, it is recommended to set up a rate multiplier of 0.90 or lower or to apply a 10% rate derive. 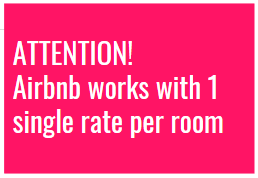 Airbnb requires 1 listing per room type and per rate plan. 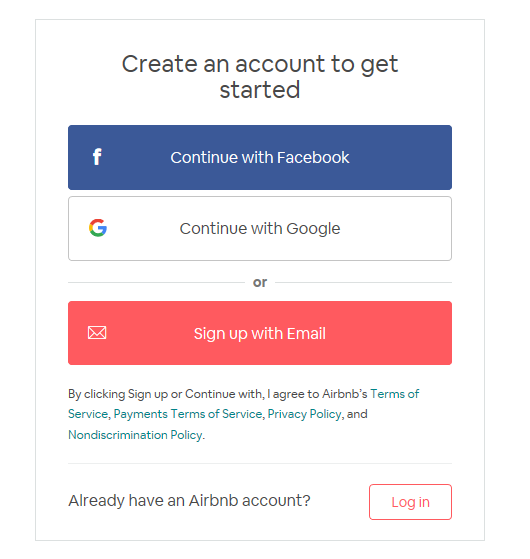 ● If you are new to Airbnb, you will need to create an Airbnb host account. 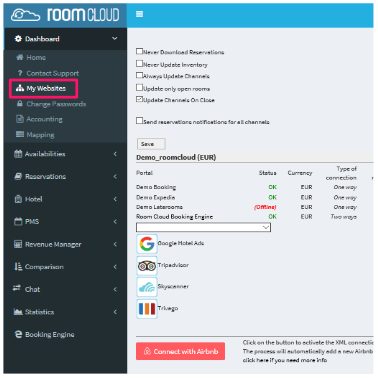 The listings will be created via RoomCloud (you don’t need to create them on Airbnb). 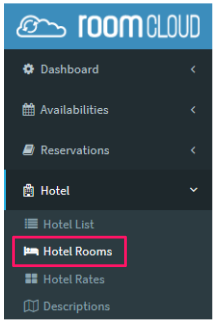 ● If you are already on Airbnb, you will need to create the listings again on RoomCloud. However, you’ll be able to merge the new listings with the one already existing on Airbnb, keeping your reviews and content. See this page to discover how to do it. 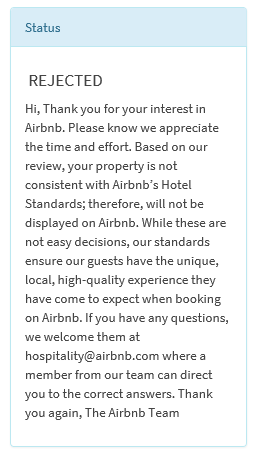 Airbnb has high quality standards when it comes to guest experience (minimum quality bar of 4.6 stars after hosting 20 guests). Properties can be suspended if not meeting these standards. 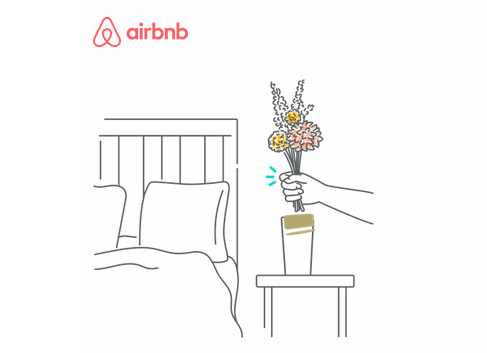 Go to ​airbnb.com​ and click ​Sign up​. Facebook account, Google account, or Amex. Creating an Airbnb account is free. click the red Connect with Airbnb button. 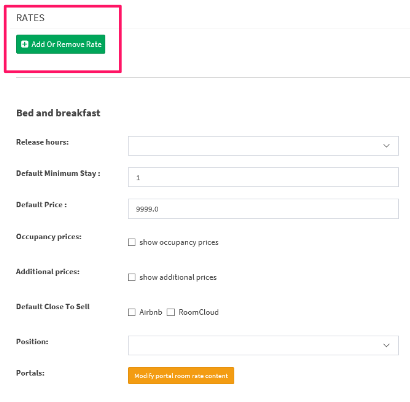 The Onboarding process will now be different for hotels and apartments. 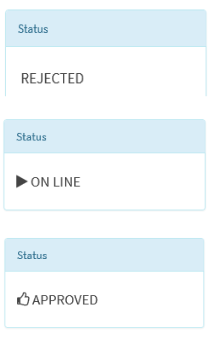 For both of them, the status will change for a few seconds, while the datas are sent to Airbnb. Apartments will almost immediately see if the datas have been sent correctly or not.